"The Black Angel's Death Song" is a song by the Velvet Underground, from their 1967 debut album The Velvet Underground & Nico. It was written by Lou Reed and John Cale. 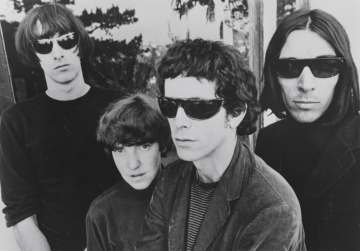 In a footnote to the lyrics, Lou Reed wrote: "The idea here was to string words together for the sheer fun of their sound, not any particular meaning. According to Cale, Sterling Morrison refused to play bass on the song because he disliked having to play it on "Venus in Furs",hence, Cale overdubbed the bassline while Morrison stuck to his usual guitar. In late 1965 Al Aronowitz arranged for the Velvets to play at the Café Bizarre in Greenwich Village for a fortnight in December 1965; while there they played a "furious" version of "Black Angel's Death Song"; the manager ordered them not to play that song again, to which the band responded by playing it again "with a vengeance", and were sacked.